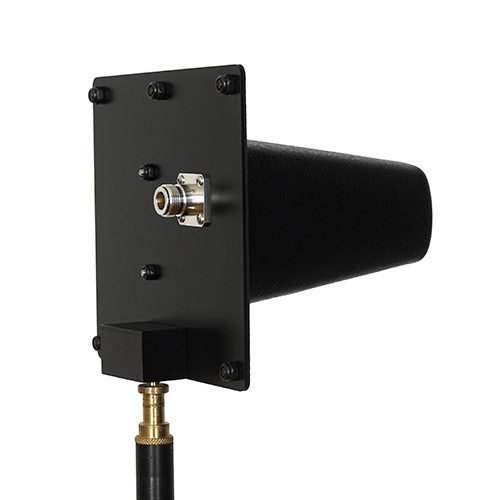 Inspired by the popular UHF CP Beam antenna, this lightweight, miniaturized version is built for maximum gain in the 2.4 GHz band. Painstakingly designed and tested in our laboratory, it provides significant performance improvements over other 2.4 GHz directional antennas intended for networking devices—antennas that make many compromises. 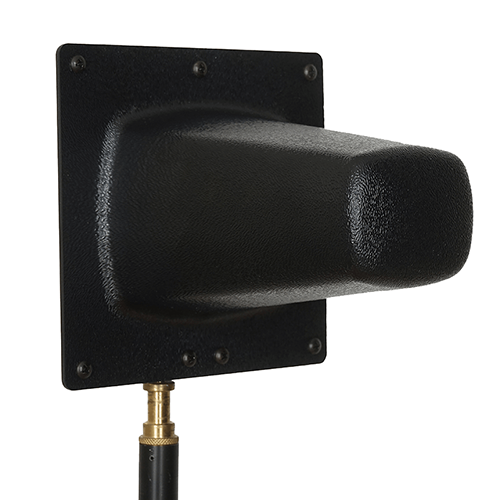 The 2.4 GHz CP Beam is well-suited for use with Line 6® digital wireless microphones, ClearCom® Tempest intercoms, and Zaxcom® Zaxnet devices. It is also equally at home extending Wi-Fi networks or other 2.4 GHz ISM devices like phones, tablets, and (yes) drones. With 12 dBd of gain, it significantly increases useable range, indoors or out. The 2.4 GHz CP Beam’s circularly polarized element also reduces signal dropouts and improves link quality. The element is protected by a durable ABS enclosure, and includes a mounting block with 1/4-20, 3/8-16, and 5/8-27 threads. What types of equipment is the 2.4 GHz CP Beam compatible with? 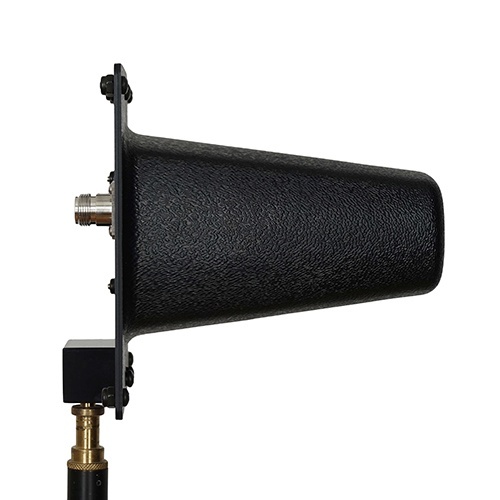 This antenna works with all 2.4 GHz transmit or receive radio equipment that accepts external antennas. We sell most of these to complement Line6 wireless microphones, and Zaxcom Zaxnet capable transceivers, but as long as your device transmits or receives signals between 2.4 and 2.5 GHz and has a coaxial out or in, the 2.4 GHz will work. For transmit applications, please remember the EIRP limitation in the United States is 4W. Operating a device with an EIRP above 4W in the 2.4 GHz unlicensed band is illegal. Why purchase the 2.4 GHz CP Beam antenna when there are so many inexpensive, ultra-high gain 2.4 GHz antennas on the market? Most 2.4 GHz antennas are designed for data, not real-time audio or timecode applications. These antennas have been engineered to be “good enough,” because data is about delivering enough packets in near, but not total, real time. 90% packet delivery is an acceptable metric in the wireless data world. 90% packet or audio delivery in the wireless audio world is unacceptably low. The 2.4 GHz CP Beam does not cut the corners because our end-users need their signals to be as reliable as possible. How many 2.4 GHz CP Beams are needed per receiver? Only one 2.4 GHz CP Beam is needed per diversity receiver, but two can be used for maximum performance. What do I do with the other diversity input? We suggest leaving the stock dipole/whip attached to the other input. Where budget and space provides, two 2.4 GHz CP Beams can be used for additional performance benefits. Is the 2.4 GHz CP Beam compatible with wireless instrument / guitar systems? Yes, if your wireless instrument system operates in the 2.4 GHz band the 2.4 GHz CP Beam will be compatible. Popular systems include the Line 6 wireless guitar platform among others! Is VHF the Answer to the Spectrum Crunch?